The extreme effects of the most recent economic recession have many people facing foreclosure on their homes, as the properties’ values plummeted and the property owners’ incomes declined, or dried up altogether. 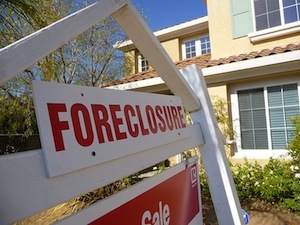 After an extended period of limiting the volume of foreclosure actions, or stopping altogether, mortgage lenders are again pursuing foreclosures more aggressively. Homeowners should know that, if they face an immediate threat of foreclosure, there are some mechanisms that may help them save their homes, including Chapter 13 bankruptcy. The first, and most straightforward, spect in which Chapter 13 bankruptcy can help a homeowner avoid foreclosure is the automatic stay. The automatic stay is an element of bankruptcy law that requires all of your creditors stop all attempts to collect the debts owed to them. This means that your mortgage lender cannot continue pursuit of a foreclosure action against you. In some states, even if your home is already scheduled for a foreclosure sale, the law may require the postponement of that sale until the bankruptcy case is over. Be aware, though, that a mortgage lender can seek the court’s permission to proceed with its foreclosure action by filing a Motion to Lift the Automatic Stay. If the court grants the motion, then it may go forward with foreclosing on your home. Using a Chapter 13 bankruptcy to try to save your home is a challenging technique and one you should only undertake with caution. Chapter 13 bankruptcies involve the partial or total repayment of your debts over a period of three to five years. The length of the repayment period varies depending on what you and your attorney propose to the court. During your three- to five-year repayment period, you must make your regular monthly mortgage payment in addition to the payment you submit to the bankruptcy trustee that covers the arrearage on your mortgage loan. Additionally, you should be aware that if your home has a high value, you may be ineligible for Chapter 13 bankruptcy. If your total secured debts exceed $1,149,525, the law prohibits you from seeking Chapter 13 protection. Unfortunately, saving your home, even through a last-resort option like bankruptcy, may not make sense. If you recently purchased your home, and made little or no down payment, chances are the economic downturn left you owing far more than your home is worth. For those homeowners who are severely underwater on their homes, or have massive arrearages, saving the property through Chapter 13 possibly may not make economic sense. Additionally, if your income is not large enough, taking on the financial responsibility of paying both your arrearage (to the bankruptcy trustee) and your monthly mortgage payment (to your lender) may simply be too much. Saving your home that is on the brink of foreclosure is a complicated process, as it intertwines both emotional and economic factors. If you are determined to save your home that is facing foreclosure, though, bankruptcy may offer a way out. To get honest and knowledgeable advice about whether a Chapter 13 proceeding makes sense for your situation, contact the Bay Area bankruptcy attorneys at the Law Offices of Melanie Tavare. Oakland bankruptcy attorney Melanie Tavare can inform you of your rights under Chapter 13 bankruptcy, and help you decide if bankruptcy will allow you to accomplish your financial goals. Call (510) 255-4646 for your free consultation today.